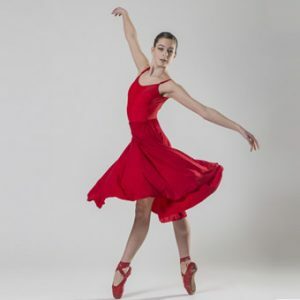 To provide a centre of excellence in classical ballet, contemporary dance and musical theatre. To offer superior training by former professional dancers in a nurturing, disciplined and family-oriented environment. To expand the community awareness of the enjoyment and benefits of dance. We believe that teachers professionally accomplished in their art provide students with the best chance of success. We believe in classical training that not only teaches children how to dance, but also develops etiquette, discipline, graciousness and respectability; traits that will aid students in all aspects of their lives. We believe that children excel when encouraged in a nurturing and disciplined environment. We believe that students need to learn how to dance before they learn what to dance. Our training concentrates on advancing technique throughout the school year. As a result, our students excel at learning complex choreography quickly and easily. We believe that children should be children. Costumes and music are always be age-appropriate at our Academy. We believe that children are naturally beautiful. Young children do not need make-up and no child needs false eyelashes. We believe in reducing waste and expense wherever possible. By maintaining a full costume wardrobe, we ensure that families never pay fees for costumes and that costumes are re-used rather than discarded after use. We believe that every child should leave their class with a smile on their face.